Today has been freezing and wet. Very, very wet. The plan was to go round to my granddads and help tile his roof... well I say help- what I mean is the men tile, I’ll provide the tea and biscuits. Sadly winter got the better. It’s on days like these that I crave comfort food. Something carby and usually cheesy. 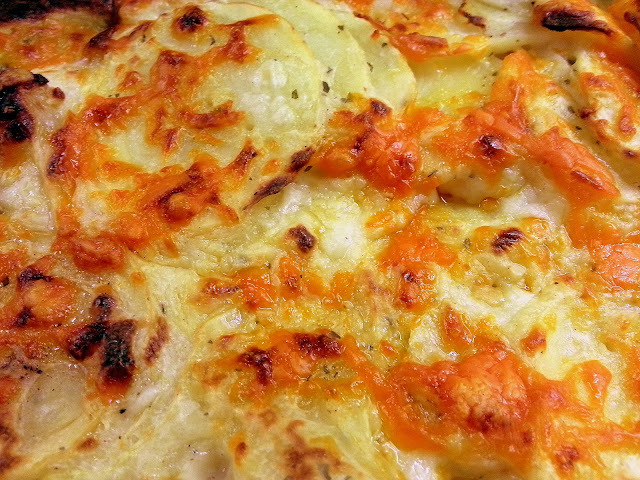 This had to call for dauphinoise potatoes. Creamy, garlic-y, they are pure comfort food igredients on a cold, Saturday evening. First, preheat the oven to gas mark 6. Thinly slice the potatoes to about half a centimeter. If you have a potato slicer, it helps a lot! Par boils for about 5 minutes, just to speed up the cooking time later. 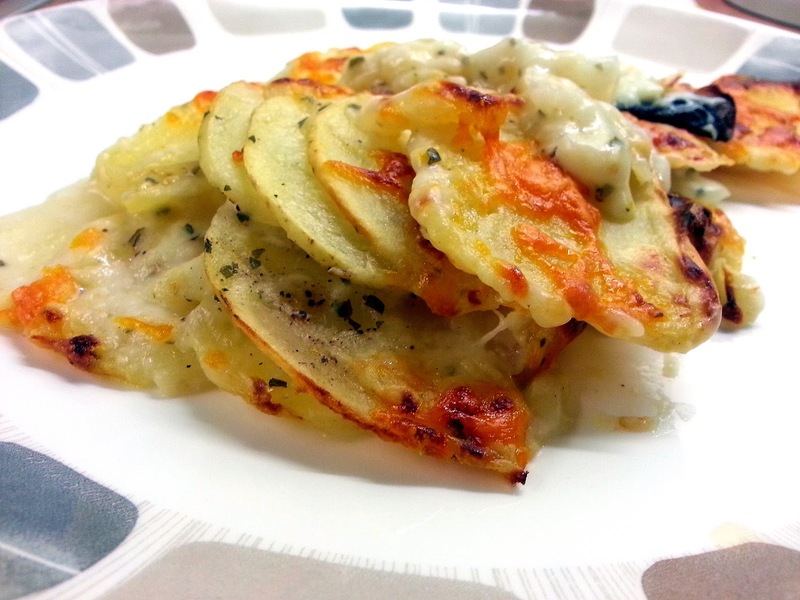 Layer the potato slices in a dish small enough to allow for about 3 rough layers. Sprinkle the salt, pepper and parsley amongst the layers. Mix together the double cream and the milk in a pan and slowly bring to the boil, then reducing to a simmer. Next, grate the gruyere cheese, stir in until melted and add the crushed garlic. Pour over the sauce ensuring it covers all the potatoes. Then sprinkle the red Leicester on top and bake for 45 minutes until golden. Finally, for a couple of minutes, finish under the grill to really get that bubbly cheese effect! Who can resist this? A tasty side dish to a lovely joint, or why not just double up and have it alone? 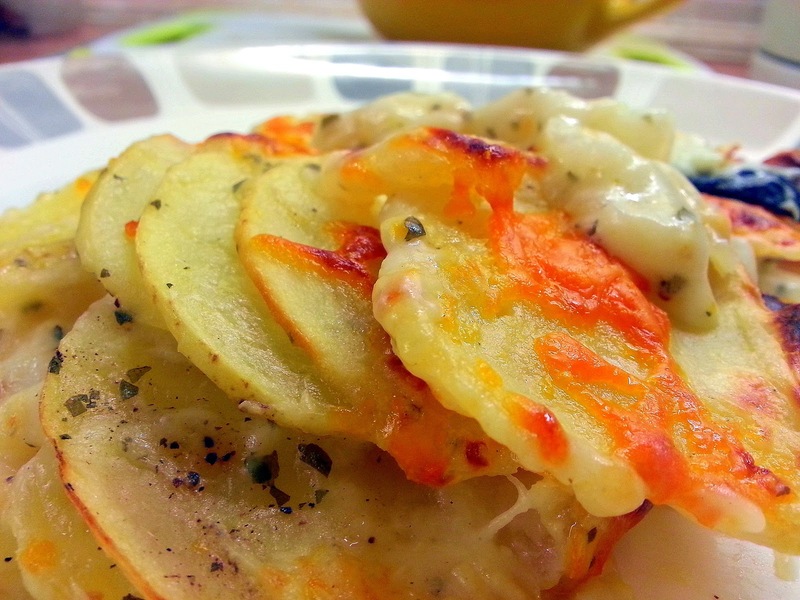 I love dauphinoise tatties. I usually just put parmesan on mine, but your receipe looks delish, I shall give it a bash next time I make them.